Frequently, an organization’s performance is driven by behaviors of leadership team members. Marathon has developed integrated tools and processes to help organizations reset standards and change the behaviors necessary for improving performance. We have been extremely successful in guiding our clients along their journeys to operational excellence. Marathon’s approach of precisely defining problems, determining causes, and determining effective actions in concert with the client has resulted in successful improvement strategies across our client base. From regulatory recoveries to improving internal client relationships and culture, Marathon’s sharp focus on problems and their solutions have been a successful strategy appreciated by our clients. Safety Culture is the core tenet of every company that has a human/machine interface. It’s often defined as “the way organizations and people perform their work when no one is looking.” From executive management to frontline worker, a strong safety culture is fundamental to success.Responding to increased regulatory scrutiny, or as a result of identified weaknesses in Safety Culture, organizations enlist Marathon to leads for safety culture surveys, analyses, and assessments. We then work with those organizations to develop actions and monitoring strategies to improve safety culture. Improved safety culture reduces rates of consequential error and costs associated with mitigation and correction of those events while boosting the efficiency of operations. Furthermore, a strong safety culture improves quality of life for the personnel who much respond to events and manage the aftermath. After (or in before) a plant is placed in a higher level of scrutiny by the regulator, Marathon works with the client to develop a project plan for the return to normal levels of oversight. These plans address both the regulator’s requirements and the station’s known areas for improvement. Troubled plants going through recoveries usually have had longstanding performance issues driven by a number of factors. Frequently programs and processes have degraded, culture is inconsistent, and equipment has become less reliable. Successful recoveries capitalize on the effort to improve processes, upgrade procedures, resurrect engineering programs, change culture, etc. A consolidated Improvement Plan Database that transitions to an excellence plan database. An Enhanced Performance Indicator Suite that tracks performance through the Confirmatory Action Letter closure. Also useable for managing and tracking future improvement in the pursuit of excellence. Recoveries driven by Marathon result in improvements to regulatory margin, equipment reliability, organizational alignment and safety culture, as well as reductions in production cost and consequential events. Our process, honed over dozens of engagements, is streamlined and scalable to deliver high value for stations and recovery requirements of every description. If there is a single one area where a plant should focus to improve performance, it should be their corrective action program (CAP). Like safety culture, the CAP should be woven into the fabric of how an organization functions—and in particular how the organization’s people identify and solve problems. CAP program weaknesses are common to all troubled stations. It’s the very first thing Marathon focusses on during a recovery. The NRC Regulatory Oversight Process is built on the premise that a station is properly run when CAP is healthy. Plants with healthy CAPs avoid costs through reduction in rework and improvements in equipment reliability (to name just two areas). These plants also see improvements in regulatory margin and employee satisfaction. Marathon has helped stations improve with a structured approach to standards monitoring and mentoring. Through our proven process of consolidating the station’s standards, observation, direct engagement with frontline workers and supervisors, and briefing of management and senior management teams, real behavior change is realized across organizations. The power of our process becomes especially evident when senior management come to understand the actual and potential consequences of their behaviors and then engage more effectively with staff as a result. The organization becomes more aligned, engaged, and prepared to respond reliably and consistently to issues. Consequential events are reduced and regulatory margin is preserved. Led by richly experienced leaders and executives from the power industry, Marathon Consulting Group approaches regulatory recovery and other engineering, technology, and management challenges from a strategic and 100% solutions-focused perspective. Our services empower our clients for effectiveness, competitiveness, and compliance. Mr. Farris has over 30 years in the operation, support, and management of Commercial Nuclear and Natural Gas Power Plants. He has over 25 years in management holding multiple positions including Plant Superintendent, Manager Operations Support, and Shift Manger among others. Mr. Farris spent most of his career at Entergy Operations where he served as a Manager Operations Support directing Corrective Action Programs, Work Management and procedure writing at their Grand Gulf Nuclear Station in Mississippi. He also managed the initial Training and Qualification of licensed and non-licensed operation as well as the continuing classroom and simulator training. Mr. Farris also managed Lockout-Tagout preparations, work order planning and staffing for plant refueling outages. He has extensive experience managing the daily safe operation and maintenance and testing of all plant equipment. Most recently he has been a Human Performance Consultant utilizing his experience to help clients improve safety, efficiency and profitability through the enhancement of human performance by focusing on coaching, mentoring, and training. Mr. Farris holds a Professional Engineering License in Mechanical Engineering. Sally White has more than 25 years of business, strategy and marketing experience in providing results-based solutions to commercial, DOD/DOE, nuclear power, utility EP&C’s and other high-reliability organizations. She has held executive positions in management, business development, marketing and sales. She helps grow organizations through direct sales, channel partners and digital marketing. Sally is considered a trusted advisor, executive connector, influencer and force multiplier and has built a successful business consulting practice in nuclear and non-nuclear generation. Sally’s has extensive industry relationships, in-depth knowledge and endless energy in helping her customers and partners connect with influencers and decision-makers. Through conferences, Imagineering sessions, C-level meetings and digital marketing science, Sally assists her customers realize their vision, strengthen their brand and achieve profitable revenues. 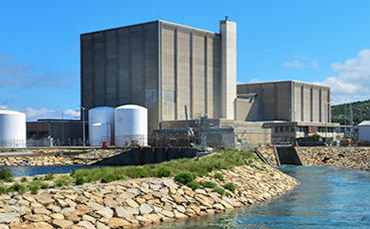 Mr. Ridenoure has over 40 years leading Commercial Power Plants (NPP) operations. He held thee assignments as Chief Nuclear Officer (CNO) and three assignments as Senior Reactor Operator (SRO) on Westinghouse and Combustion Engineering PWR’s as well as a GE BWR-6. Mr. Ridenoure began his career at the United States Navy where he retired after 30 years of honorable service as US Navy Commander. He has proven excellence in written and verbal communications, building and managing cross-cultural teams, and transforming corporate cultures by applying positive change methods. Mr. Ridenoure’s areas of expertise include nuclear business development, nuclear licensing and regulatory compliance, budget management, and project management. He possesses high level of emotional and conversational intelligence and ability to motivate and build consensus among internal and external stakeholders. He has other areas of expertise including, Workforce Management and training, emotional intelligence and relationship building, business development and strategic planning, change management and process improvement, nuclear licensing and regulatory compliance at International and Domestic Nuclear facilities, Project and Program Management among others. Dee Bradley has more than 25 years of commercial and DOD/DOE nuclear power experience. She has held positions in management, and of technical nature within the areas of Radiological Protection, Chemistry, HAZMAT, Training, and Project Management. Dee holds and has held certifications as Radiation Safety Officer, DOE Core certification, Procedure Professional Association certification, and various Cause Analysis qualifications. Of note, Dee has robust experience in procedure development and integration across the administrative, program, and technical procedures at both individual plant as well as and fleet environments. In Dee’s consultant experience she has been extremely successful at supporting plants in recovery by developing inspection ready documents to support recovery activities. Dee’s energy and positive interfaces with station personnel fosters rapid and engaging progress in her assignments. Dee earned a BS in General Studies at Brenau University in Gainsville, GA and a MS in Education from Furman University in Greenville, SC. Dave Voeller has more than 45 years of naval and commercial nuclear power experience. He has been a senior nuclear and project management manager with extensive experience in maintenance, work management, and construction oversight in the power generation field. Dave also has a proven ability to work successfully within multifaceted and multi-level organizations within a fleet environment. Additionally, he has expertise in the building, operations, and maintenance of nuclear facilities. 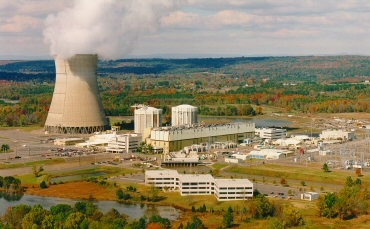 Dave’s assignments in commercial nuclear power have included several Director level positions within the TVA fleet. Dave mentored multiple INPO Leadership courses and has SRO-level experience on both PWR and BWR reactors. His consulting engagements have included project management assignments, and NRC Regulatory Recovery Support. Bruce O’Brien has more than 45 years of experience in commercial nuclear power production, naval submarine operations, and shipyard work. His engagements have included direct management and consulting assignments at an array of stations across the U.S. and Africa. Bruce has had Senior Manager assignments in operations, maintenance, training, and work management/outage management. He has also held and exercised an SRO License. Bruce joined Marathon in 2000 and has held positions of increasing responsibility, becoming President and CEO in January 2016. Bruce has been a principal participant and driver in the support of several stations exiting the Degraded Cornerstone and Multiple/Repetitive Degraded Cornerstone columns of the NRC’s ROP Action Matrix, including the writing and implementation of the procedures supporting those efforts, overall project management, and Senior Manager review of NRC Inspection preparation activities. Gary Cavanaugh has more than 41 years of experience in utility and commercial nuclear power production. His engagements have included project management of various consulting assignments at many stations in the U.S., as well as the development and management of a documentation project outside of the U.S. Gary has had management assignments in regulatory compliance, licensing, CAP, performance improvement, and recovery from regulatory problems. Mike Peckham has more than 47 years of naval and commercial nuclear power experience. He has been a senior nuclear and project management executive with extensive experience in North American power generation. He has been recognized for developing innovative solutions and options that deliver desired outcomes in complex and rapidly changing environments. Mike also has a proven ability to work successfully within multifaceted and multi-level organizations. Mike’s 25 years of experience as a senior nuclear executive can be seen in his demonstrated record of success in leading operations, maintenance, engineering, and quality assurance business units in the U.S. and Canada. 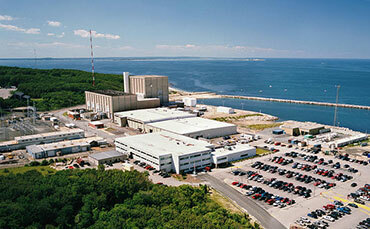 Additionally, he has expertise in the building, operations and maintenance, and decommissioning of nuclear facilities. 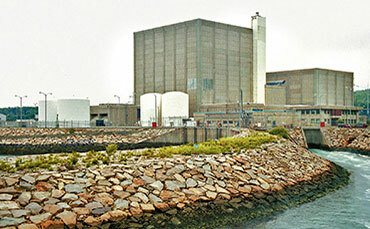 Mike’s assignments in commercial nuclear power have included several vice president positions with Ontario Power Generation, and plant manager at three U.S. nuclear plants. Mike attended the Senior Nuclear Plant Manager Course and has SRO-level experience on both PWR and BWR reactors. His consulting engagements have included project management assignments, organizational and staffing studies and analyses, and NRC Regulatory Recovery Support. Mike has also served as a member of offsite review boards in the U.S.
Phil Chase has more than 36 years of experience in nuclear power operations, including both naval and commercial operations. He has extensive operations experience in roles ranging from equipment operator through senior manager, operations. Phil has held and exercised both Reactor Operator (RO) and Senior Reactor Operator (SRO) licenses. Phil has extensive experience managing nuclear safety culture assessments, cause analysis, and development and implementation of recovery plans over the last five years, all in the environment of NRC Regulatory Recoveries. Dennis Hansen has more than 38 years of nuclear experience providing leadership in operations, outage and work control management, maintenance, engineering, and performance improvement. He has applied that experience to performance improvement and regulatory recovery assignments across both the commercial nuclear power and DOE environments. He has held both Reactor Operator (RO) and Senior Reactor Operator (SRO) licenses. Dennis is presently supporting recovery operations as an equipment reliability and risk recognition and decision-making mentor. In this role, he provides observation, coaching, and insight to senior station managers as well as operations and engineering leadership. Dennis holds a BS degree in Chemistry from the University of California and an MBA from Pepperdine University. Fritz Schlabach is a senior operations and finance executive with more than 25 years of expertise in improving processes, reducing costs, managing cash, and positively influencing stakeholders in the pursuit of strategic solutions and increasing shareholder value. He attended Washington & Lee University in Lexington, VA achieving a BS in Business Administration, minoring in Accounting, with special attainments. Ahmad Shahrpass has more than 37 years of experience in the nuclear power industry, including plant design, analyses, engineering, construction, operation and maintenance support, and project management. He has full working knowledge of and experience with Code of Federal Regulations (CFR) including 10CFR50, Appendix A & B, 10CFR50.55a, 10CFR50.59 10CFR50.72/73, and NRC Regulatory Guides, and has fully owned and managed plant programs. He has extensive knowledge and experience with BWR and PWR plant designs and licensing bases, FSARs, technical specifications, and plant primary and secondary side systems. He is experienced with PWR and BWR Extended Power Uprate projects (EPU) and life extension, as well as nuclear codes, standards, and INPO good practices. Ahmad has most recently been assigned engineering assessment and recovery actions for multiple stations with NRC Confirmatory Action Letters, in preparation to improving station performance and reentry into the NRC Licensee Response column. Ahmad earned a BS and MS in Mechanical Engineering from Clarkson University in Potsdam, New York. He holds an active Professional Engineer License from State of Texas and a Project Management Professional certificate (PMP) from PMI. Mark Floyd has more than 34 years of nuclear experience ranging from hands-on technical work through senior manager assignments. He has been heavily involved in maintenance, projects, and work management. Mark has been assigned to INPO as a Senior Maintenance and Work Management Evaluator with more than ten evaluation and assistance visits. He has also led Nuclear Fatigue Rule implementation across a fleet of plants. Mark has performed regulatory recoveries as both a utility employee and as a consultant. He is presently providing implementation support of the Vendor Oversight Program. Frederick Forck has more than 35 years of commercial nuclear experience, including the areas of performance improvement, cause analysis, quality assurance, and training. He has been designated as a Certified Performance Technologist (CPT) in accordance with the International Society of Performance Improvement (ISPI) standards. This certification is a reflection of his efforts directed toward improving workplace performance by focusing on organizational assessment, incident investigation, continuous improvement, and safety culture. Frederick is a skilled trainer and uses his 2016 book, Cause Analysis Manual, Incident Investigation, Methods and Techniques, as the basis for his training sessions. He has also been instrumental in many stations’ performance improvement and recovery as a result of heightened regulatory scrutiny. Carl Kuester has more than 37 years of experience in nuclear power operations, including both naval and commercial operations. His assignments have been in operations, work management, and system engineering, both as an individual contributor and as a supervisor. This work provided a solid foundation for his later assignments in recovery and project management. His project responsibilities have included maintenance planning recovery, procedure and work instruction upgrades, and FLEX modifications. His regulatory recovery assignments have included Station Recovery Manager and Inspection Response review boards at several stations. Carl is PMP Certified and has held a RO License. Gaston Riva has 29 years of experience in nuclear power plant engineering, work management, maintenance, and regulatory recovery. He has both led and been a team member on IP 95003 regulatory recovery projects at multiple nuclear stations. He has been assigned leadership positions in work management and maintenance departments at an operating PWR, including project management positions during refueling and extended shutdown projects. His other assignments reflect his broad experience in engineering. Mike is qualified as a lead root cause analyst. He has been EPRI qualified an experienced Probabilistic Risk Analysis (PRA) Engineer and is a qualified Systems and Program Engineer. His most recent assignment was as Subject Matter Expert in the Root Cause Analysis and Corrective Action Program as a part of a station’s NRC Confirmatory Action Letter. Steve Wackenstedt has more than 42 years of experience in nuclear power operations, including both naval and commercial operations. He has extensive operations experience, serving in roles ranging from equipment operator through shift manager and operations instructor. He has held both RO and SRO Licenses. His 30 years of utility experience was spent at Palo Verde. Steve has distinguished himself as a regulatory recovery consultant in the areas of operation mentoring, corrective action program improvement and mentoring, inspection readiness assessments, and operability determination review and mentoring. Janie Bailey has been with Marathon since 2006. She has more than 37 years of accounting experience. Janie started her career in public accounting and then moved into the private sector as an accounting manager in various industries. She worked for a prominent estate planner and has experience in the insurance and investment fields. Prior to joining Marathon, Janie served as controller of Atlanta National Golf Club in Alpharetta. Brenda Taghizadeh joined Marathon in January 2018. She has more than 13 years of experience in payroll and human resources. She has been an American Payroll Association Certified Payroll Professional since 2010. Brenda has held various payroll positions, both in the payroll outsourcing industry (including ADP and others), as well as in the private sector where she held upper management level positions. Before joining Marathon she served as a director of payroll for a healthcare company, where she led a large team that processed payroll for over 20,000 employees. She also has extensive HRIS, tax, and employee benefit experience. She is a graduate of the University of Texas in El Paso with a BA in Finance and Management. Michelle Rosenau joined Marathon in the spring of 2016. She has more than 12 years of payroll and accounting experience in a high-volume corporate environment. She is a graduate of Florida State University with a BA in Marketing.